Given the amount of work spent on creating solutions this year, it seems that 2010 will be the “Year of the Solution Sale”. Except we have two minor problems. First, technology organizations have been talking about…and building…solutions as a marketing and sales strategy for several decades. In fact, John Patterson, of National Cash Register, may have invented the technique (or at least first published a solution-oriented sales Primer, see right), in the 1880s. So the concept of solution selling is nothing new. Second, and more importantly, buyers don’t want solutions. They want whatever solves their problem. If a vendor’s particular bundle of products and services (their solution) solves the buyer’s problem, that’s fine. However, most buyers view solutions as “off-the-shelf” bundles of existing products that are convenient or profitable for the vendor to sell, but don’t necessarily solve the buyer’s business problem. After all, how could a pre-configured bundle solve the unique problems of a given prospective buyer, with his or her unique set of challenges, internal issues, infrastructure, needs, wants, desires, timelines, budget constraints, goals, milestones, targets, partners, constraints and more? In fact, buyers don’t even use the word “solutions” in their conversations. A few years ago at IDC, we analyzed buyers’ language and the word “solution” never appeared. Buyers just don’t think that way. 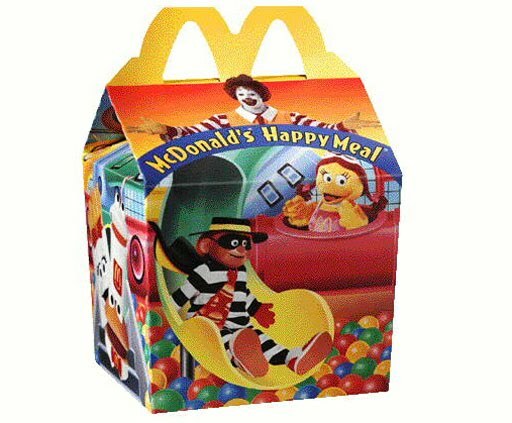 And as one Fortune 100 CIO told me, when he hears the word solutions, he thinks “McDonalds’ happy meal”…a bundle of burger or chicken nuggets, fries, drink and toy that’s guaranteed to put a smile on every child’s face. While happy meals may work in fast food, this formulaic approach to addressing buyers’ needs is simply not appropriate for engaging with buyers and addressing their complex problems. Not what should we buy…but what should we do? The buyer wants assistance in co-creating the response to his specific problems. In a recent HBR article, Venkat Ramaswamy and Francis Gouillart state that over the past decade, dozens of companies, including Cisco, Dell, P&G, Sony, Starbucks & Unilever, “have embraced ‘customer co-creation.’” (“Building the Co-Creative Enterprise”, Harvard Business Review, October 2010). Co-creation as a selling process warrants a separate conversation; stay tuned. Fortunately, for the knowledgeable sales person, most senior buyers are open to learning…to discovering not only what they don’t know, but what they don’t know that they don’t know. They do know that this new awareness can help them avoid significant business challenges or problems, challenges that would otherwise catch them both unaware and unprepared. So we’ve arrived at the next level of selling. Some call it consultative selling; others refer to it as provocation-based selling, or selling with a Point of View. The sales person must be well-informed about the customer’s individual and industry problems and be willing to take a stand for the customer, whether or not the result is a sale of that sales person’s offerings.